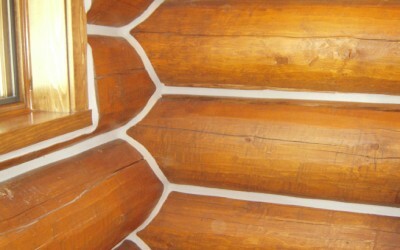 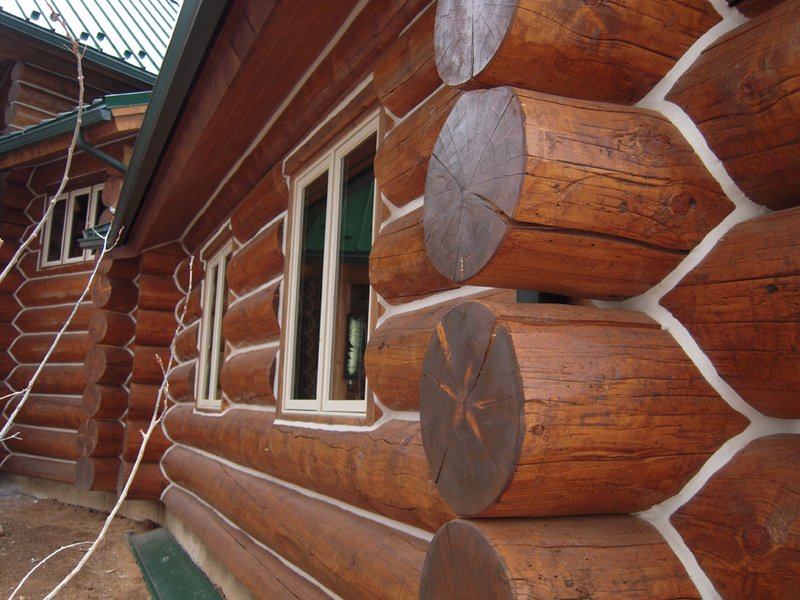 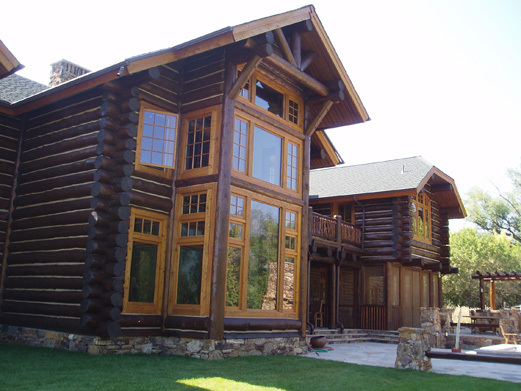 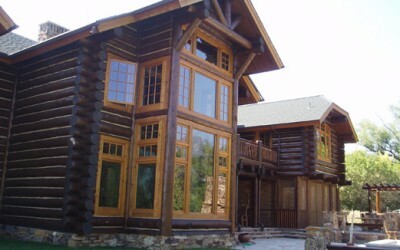 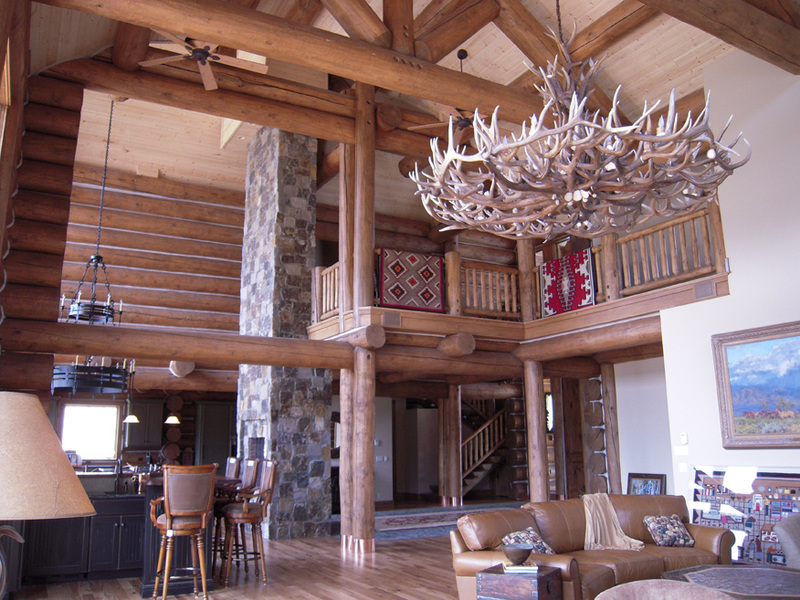 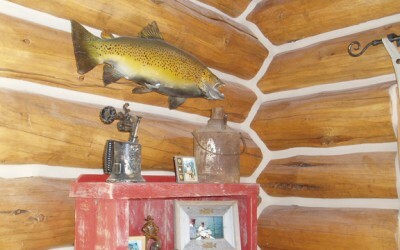 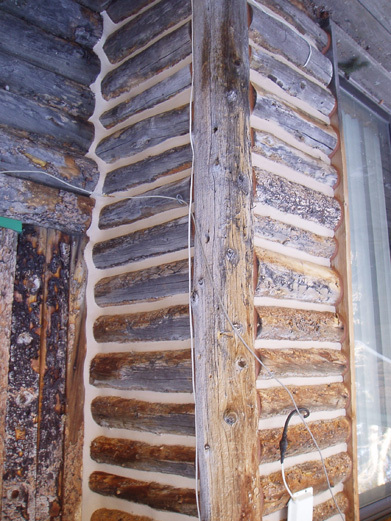 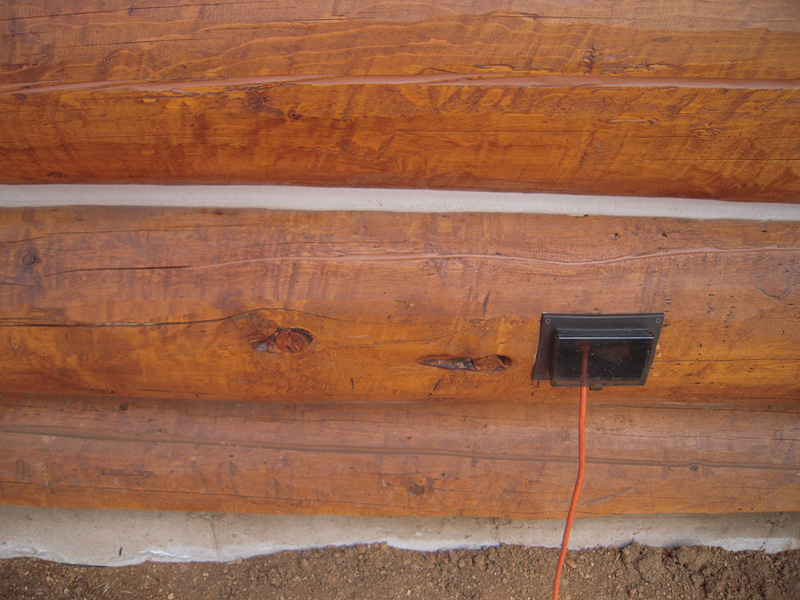 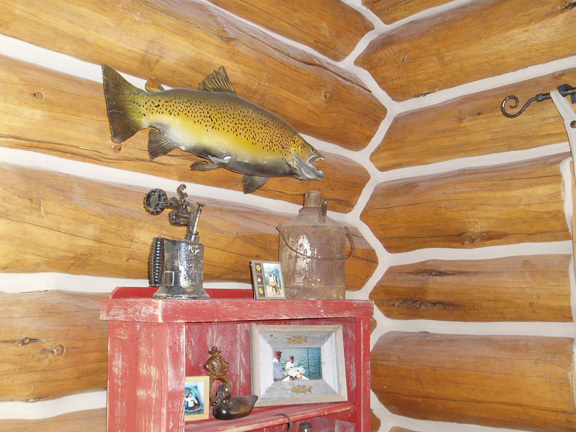 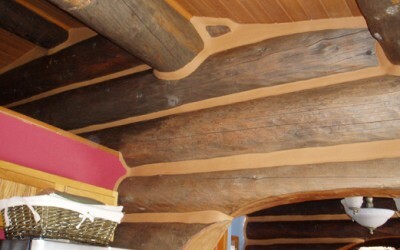 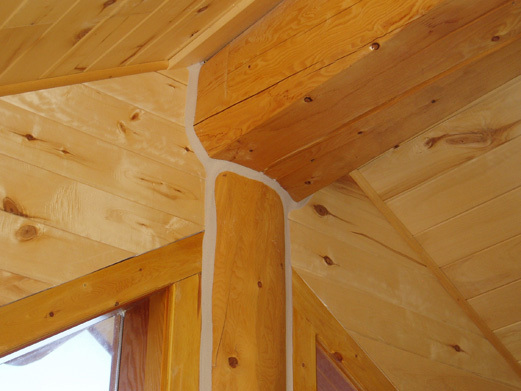 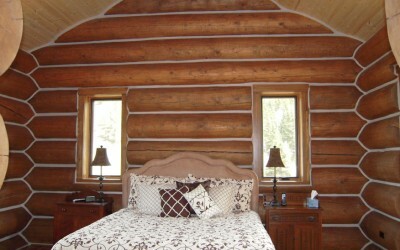 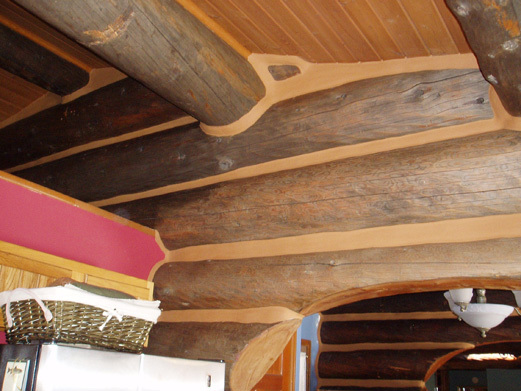 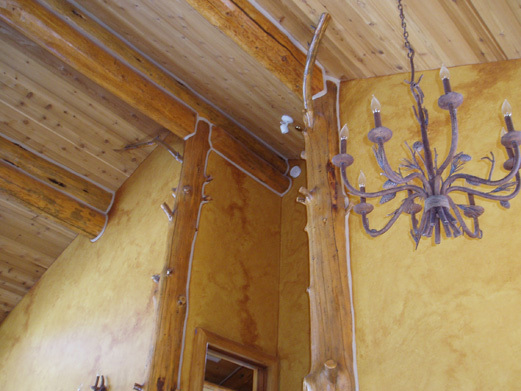 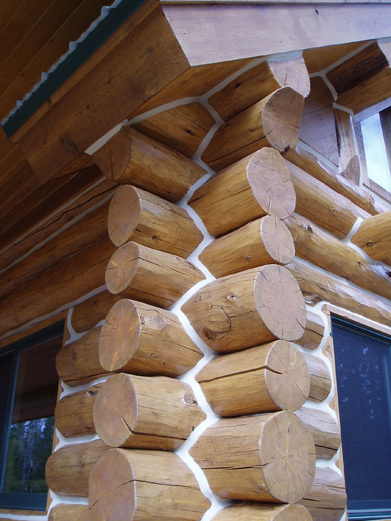 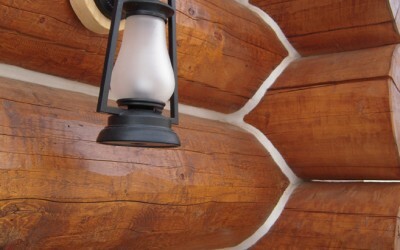 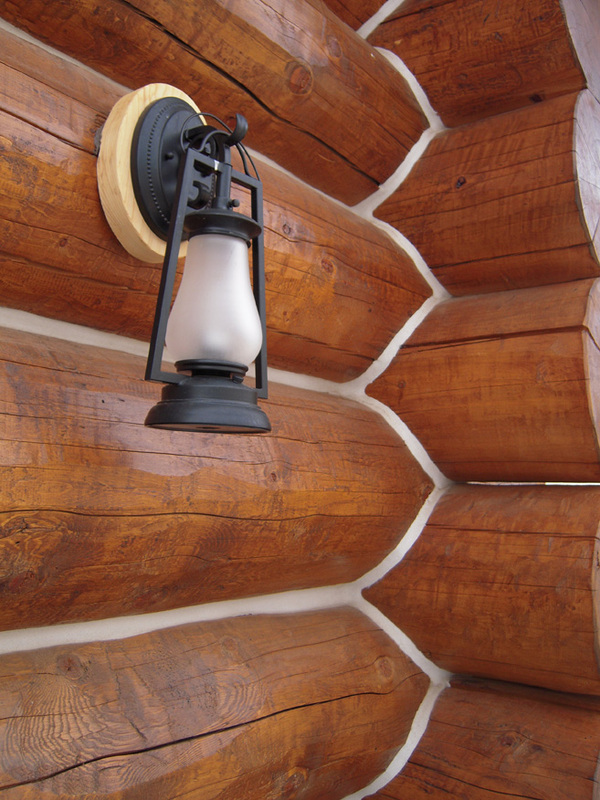 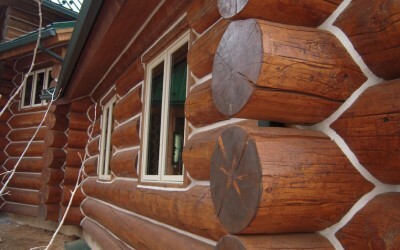 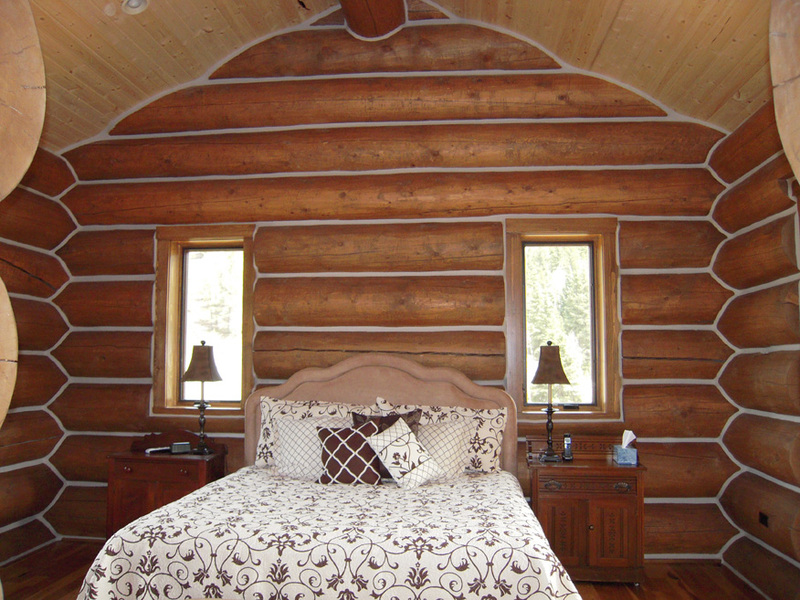 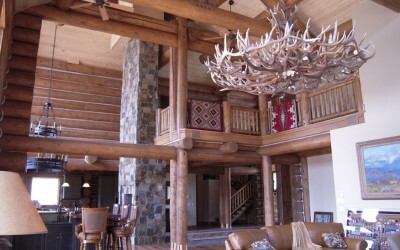 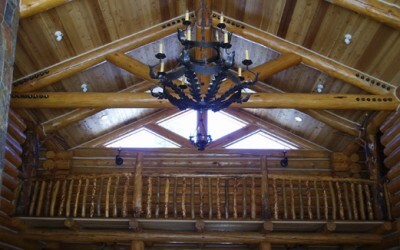 There's no greater efficiency and beauty than correctly chinking your log home. 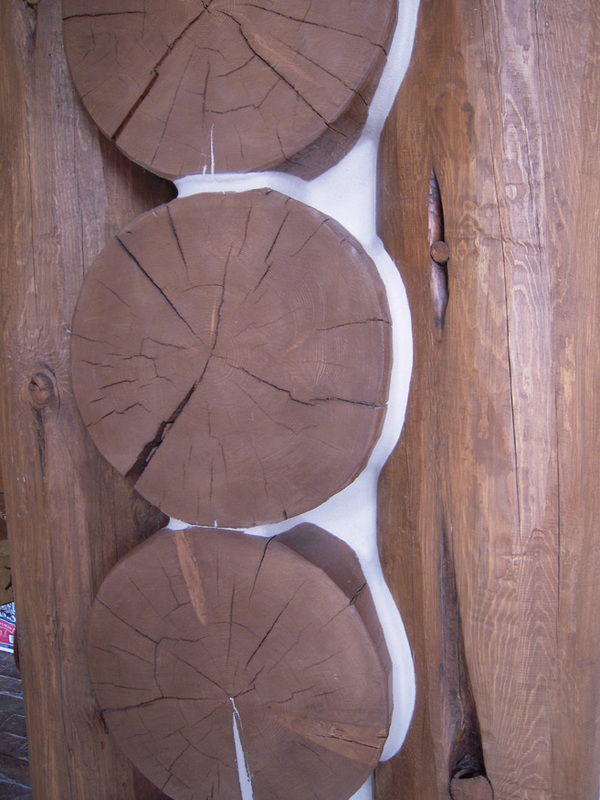 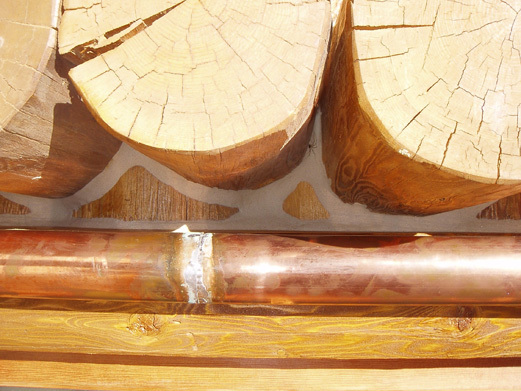 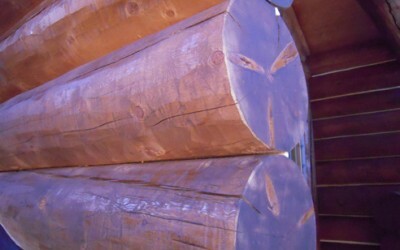 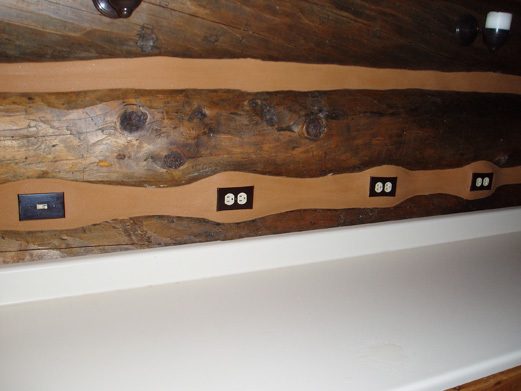 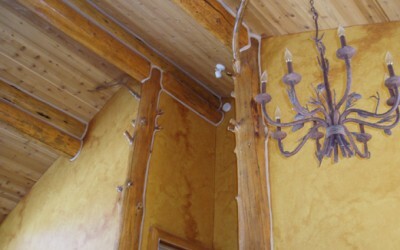 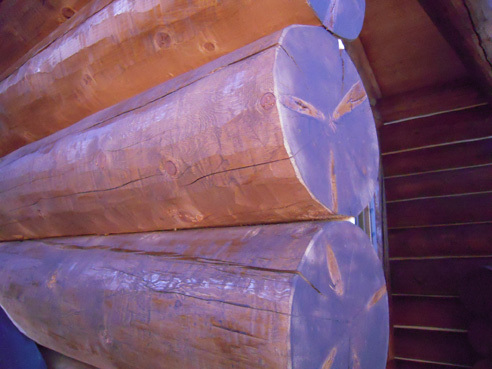 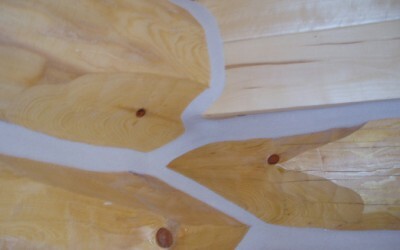 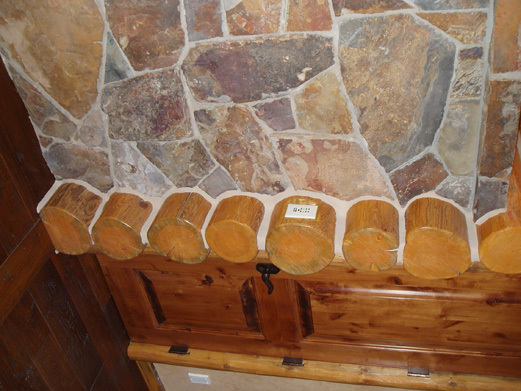 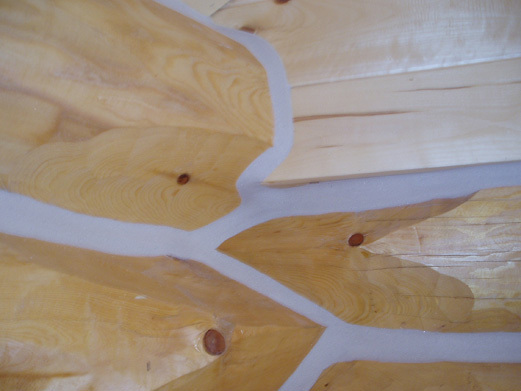 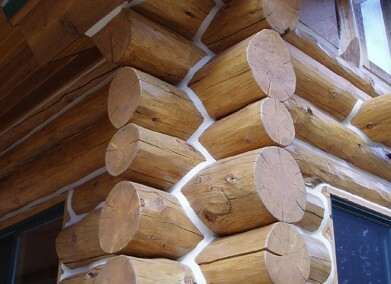 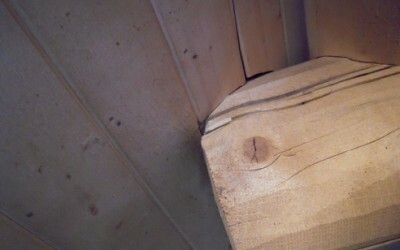 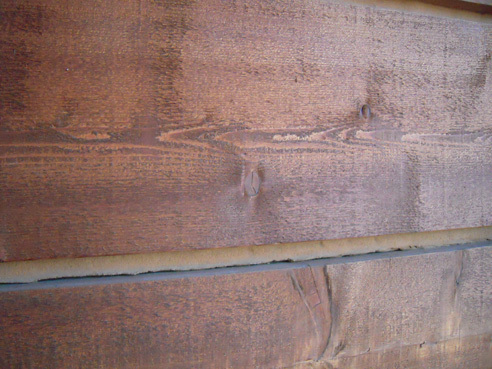 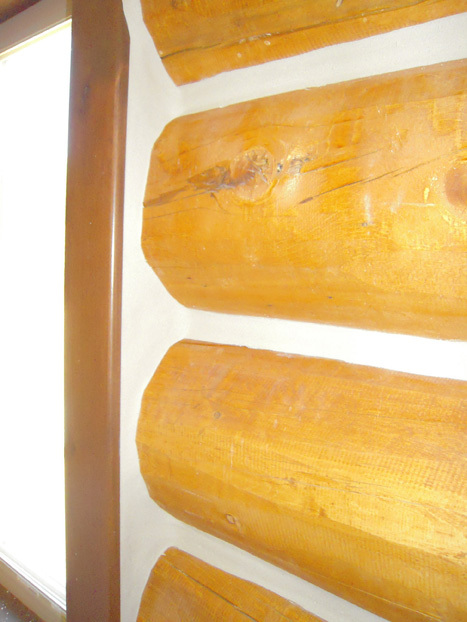 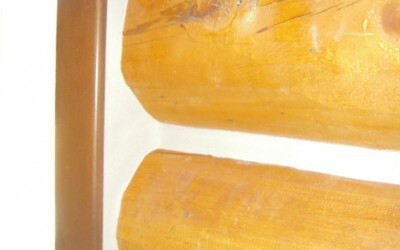 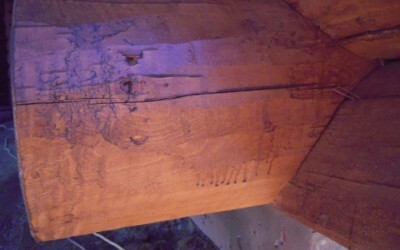 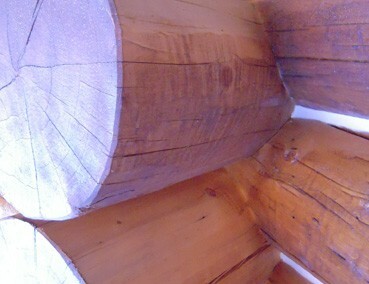 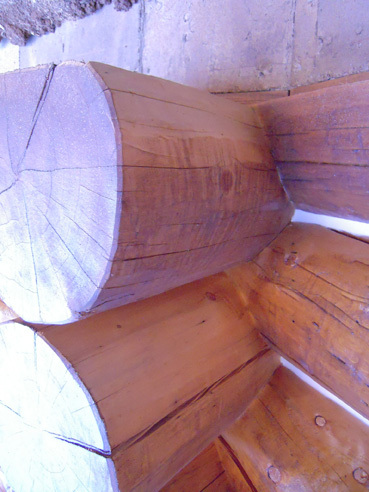 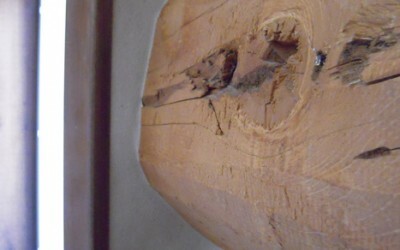 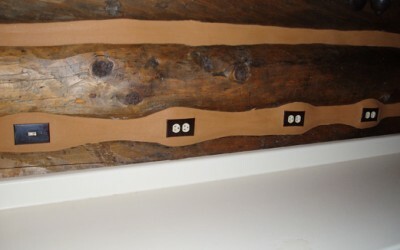 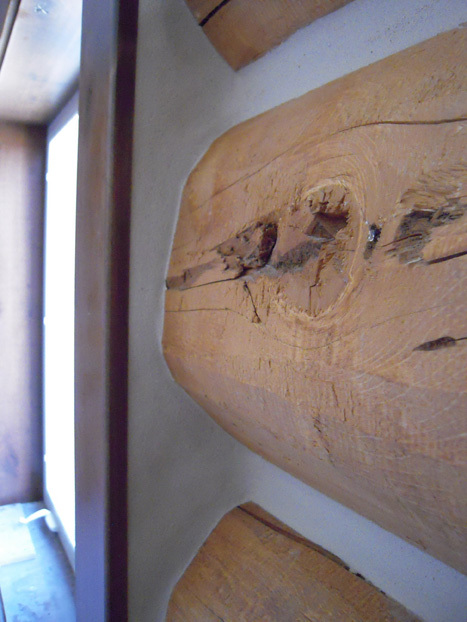 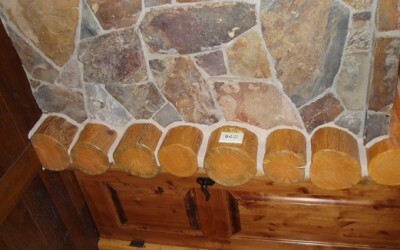 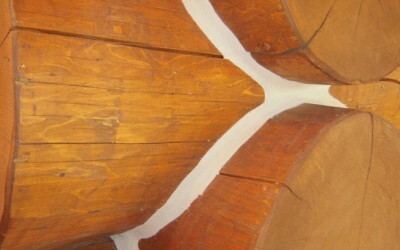 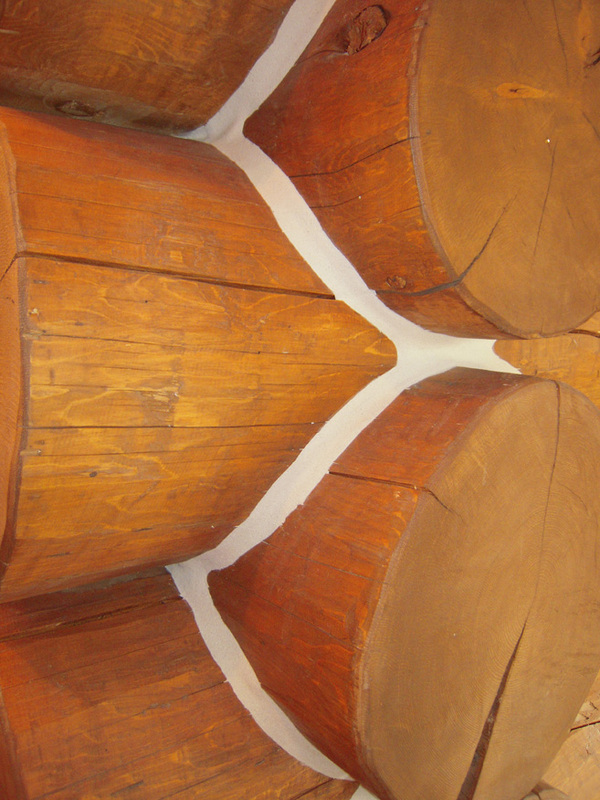 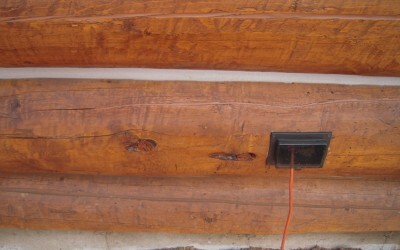 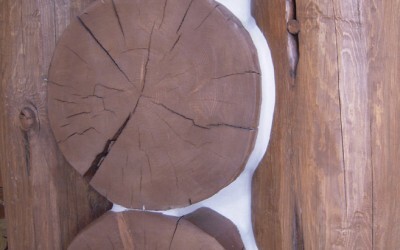 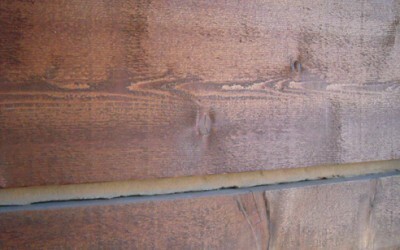 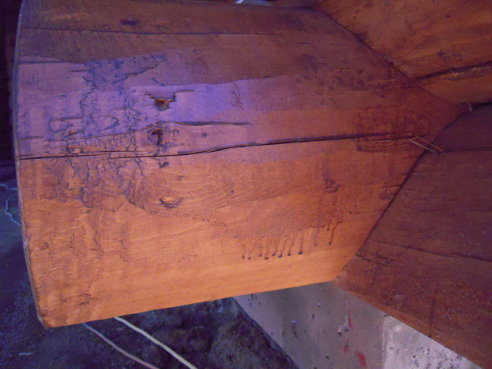 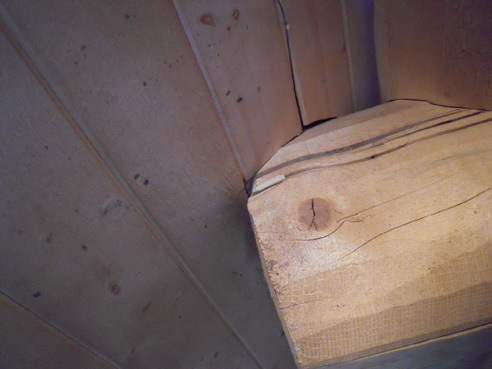 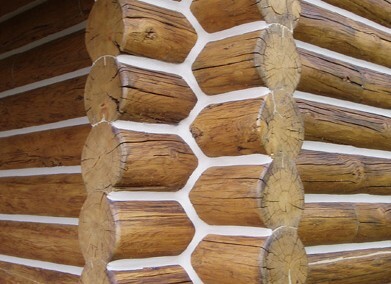 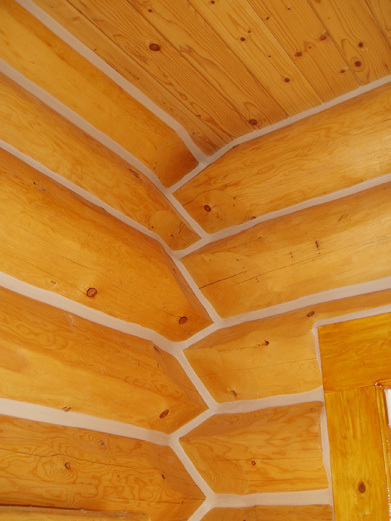 Chinking is the material inserted between the joints of logs and other woods. 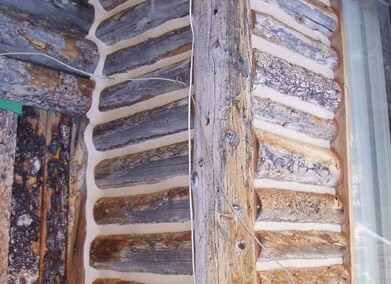 The technology has come a long way from mortar, horse hair, mud, and newspaper. 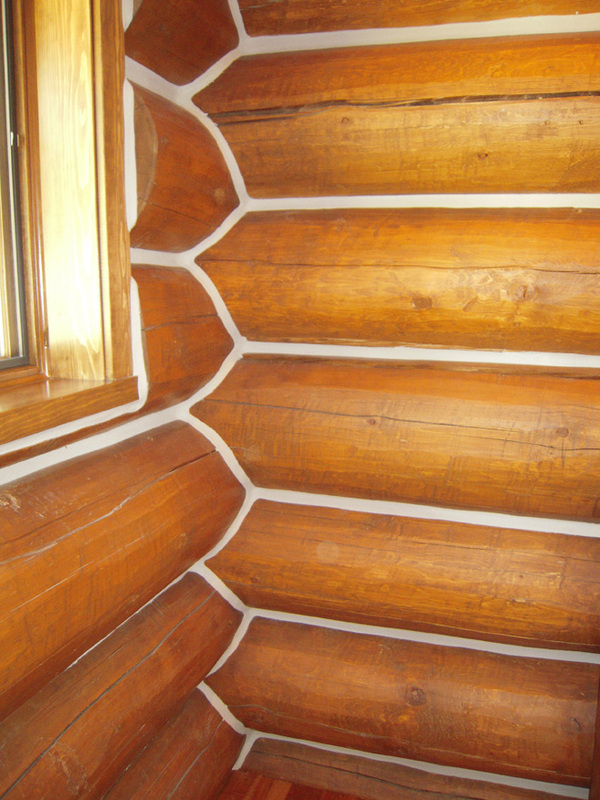 Today’s chinking is latex based, comes in many colors, and is flexible to the seasons and moisture content of the wood it is bonded to. 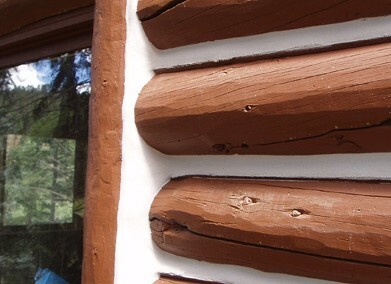 Applied correctly, chinking should last the life of the home. 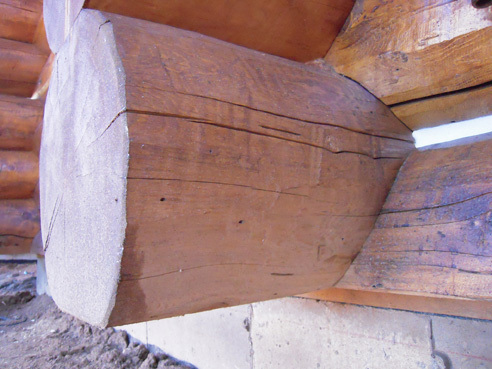 The importance of chinking is widely overlooked on many homes resulting in wasted energy and money. 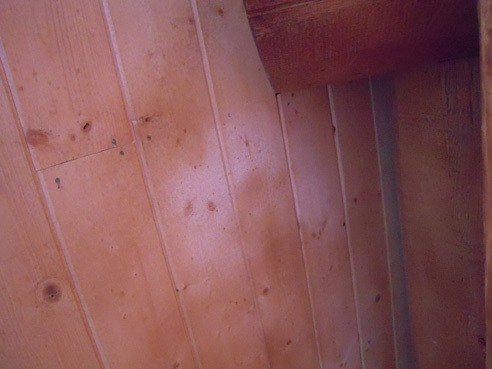 Not to mention letting insects and dust infiltrate your home. 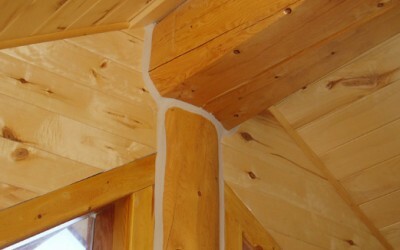 We bring the highest quality chinking to every project we do. 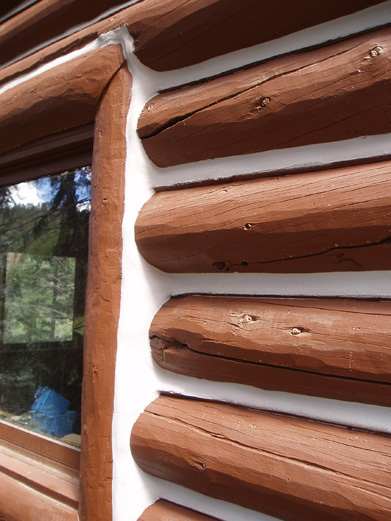 Our work not only serves the function of sealing your home properly, it also provides the aesthetics your home deserves. 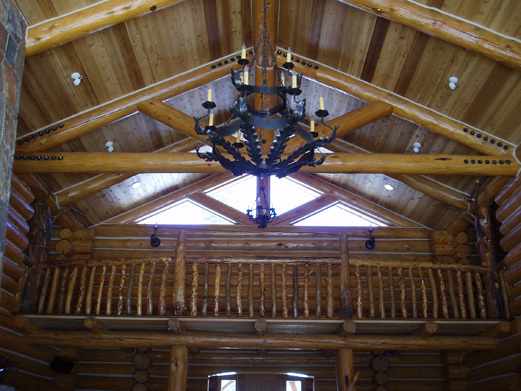 Quite often our clients have remarked that our work is a true art form. 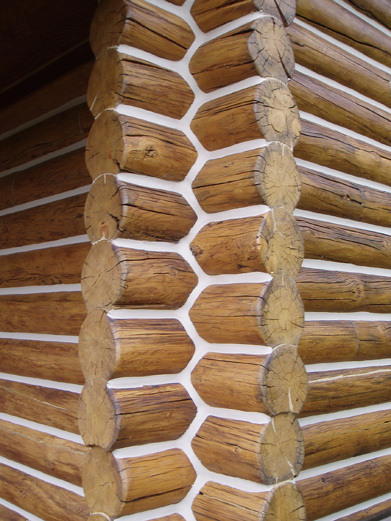 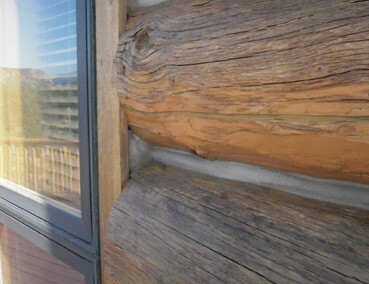 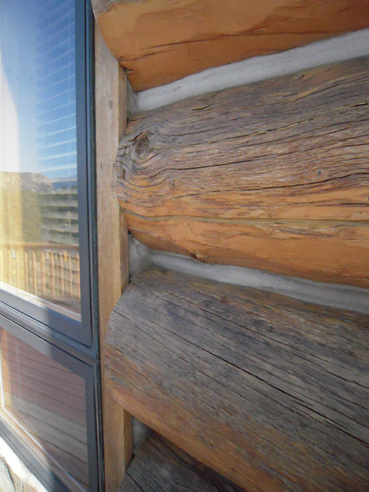 Chinking should last the life of your home if done properly and warranted by professionals like Alpine Log & Timber Finishes. 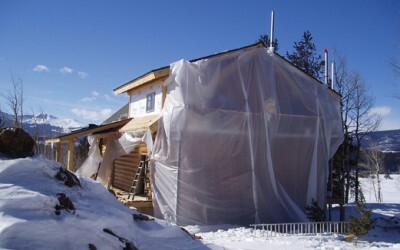 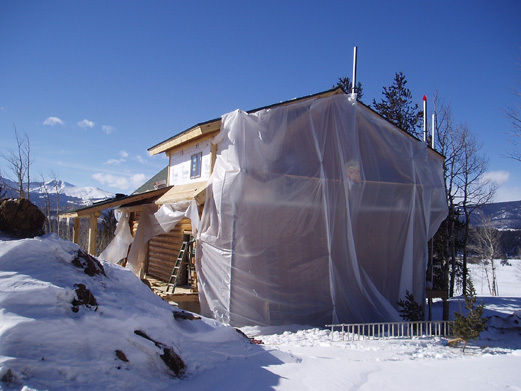 Completing the job right the first time will greatly decrease your home energy bills and eliminate the need for another chinking application. 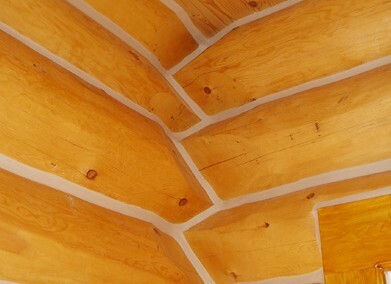 However, we have also chinked areas in which the client was more interested in the aesthetics. 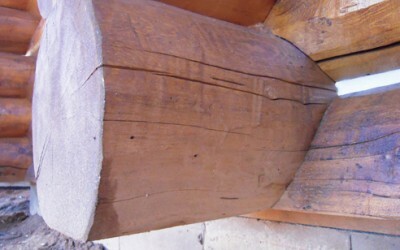 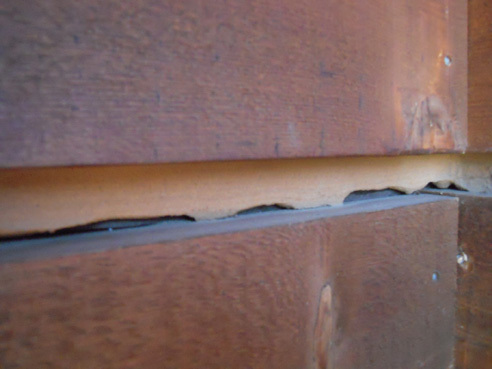 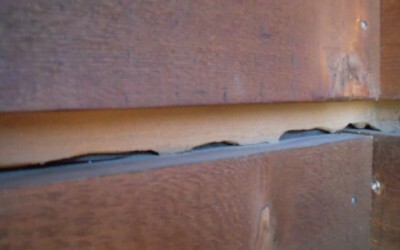 Chinking can beautify those unsightly gaps and unfinished areas.